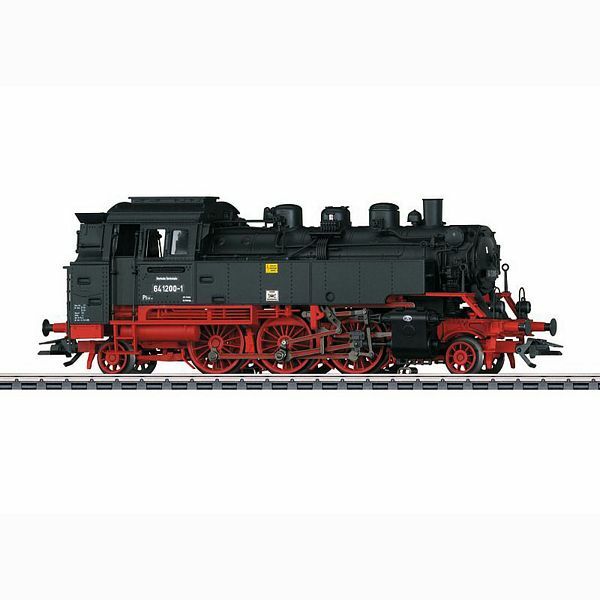 Model: The locomotive has the new mfx+ digital decoder and extensive sound functions. It also has controlled high-efficiency propulsion. 3 axles powered. Traction tires. A 72270 smoke unit can be installed in the locomotive. The dual headlights change over with the direction of travel. They and the smoke unit that can be installed in the locomotive will work in conventional operation and can be controlled digitally. Maintenance-free warm white LEDs are used for the lighting. Brake hoses and piston rod protection sleeves are included. Length over the buffers 14.3 cm / 5-5/8". A passenger car set and a baggage car to go with this locomotive can be found in the Trix H0 assortment under item numbers 23321 and 23322. This model can be found in a DC version in the Trix H0 assortment under item number 22647.